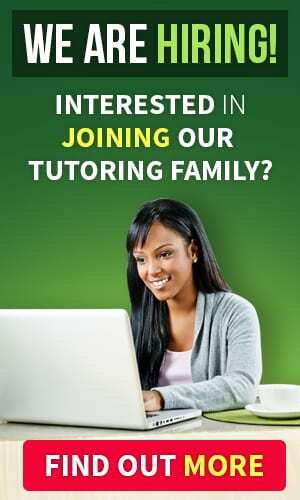 A quick internet search about tutoring reveals a wealth of options available to families in need of educational support. However, students with special needs require a little something more than regular tutoring. Students with special needs require specialized instruction to help them rise above their unique challenges. Most children enrolled in special education services require curriculum and information to be taught in a way that mirrors their specific learning needs. Special education tutoring is designed to mold the curriculum a child is currently learning into a way that maximizes retention. In order to choose the best tutoring choice for your child, consider the differences between regular education tutoring and special education tutoring. Traditional education tutoring focuses on building skills in specific subject areas while special education tutoring centers on a student’s unique learning needs. While a regular tutor may help a student brush up on fractions and decimals, a special education tutor will help develop shape current curriculum in a way designed specifically for the student. Regular education tutoring can be provided by anyone with subject knowledge and a willingness to share it with students. Special education tutoring is provided by certified special education teachers with a wealth of knowledge in how to help students overcome cognitive processing challenges. Students with special needs require a tutor with a toolbox full of strategies and a heart full of patience. Special education tutors do whatever it takes to help students make meaningful connections with academic content. In the midst of day-to-day school stress, it’s easy to fall into survival mode. Homework must be done. Projects must be completed. Tests must be passed. Regular education tutors can surely help put out those daily homework fires, but unless parents can afford a daily tutor, the stress will always be at a slow burn. Special education tutors see the big picture: creating lifelong learners. In order for students with special needs to achieve content mastery, a solid foundation must be laid. Special education tutors realize it takes time for that foundation to become solid, steady and ready for building blocks to be added. When choosing a tutor, parents of children with special needs must examine the purpose behind the tutoring. If the goal is merely to get ready for the big math test, then traditional tutoring may work if the tutor is skilled in differentiated instruction. However, if the aim is to build overall academic skills and personal confidence, the supplemental learning provided by a special education tutor is the way to go. Special education tutors know how to get to the root of a student’s challenges. Using educational records such as an Individualized Education plan (IEP) provided by the parent as well as parent and student interview data, special education tutors create a prescriptive plan to help students learn the skills they need for school and life success. 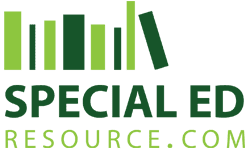 Special education tutors are perfect partners for school educators trying their best to provide stellar services on a shoestring school budget and large classroom. Due to inadequate school funding and a lack of resources, special educators simply can’t give struggling students everything they need. Supplemental learning provided by a special education tutor will help struggling students gain skills and confidence that are crucial for school achievement. Traditional tutoring is a terrific option for typical students, but students with special needs often require specialized support inside and outside the school walls. Special education tutoring is a gift parents can give their struggling students—a gift that will last a lifetime. The first step in knowing for sure if special education tutoring is the best option for your child, is a consultation with a special education tutor. Even if you and the tutor decide the best option isn’t special education tutoring, you will leave that call with some answers to the huge mountain of questions you have regarding your child’s needs and their future direction. Remember, a label doesn’t have to define a child; it simply proves that all children learn differently. This entry was posted on Wednesday, November 5th, 2014 at 9:52 pm and is filed under Special Education Tutoring and tagged as . You can follow any responses to this entry through the RSS 2.0 feed. I like that you talked about how special ed students often require a tutor with more patience to help them learn. I have been looking for someone to help my son learn English. I can see how it would be better for me to get him a special ed tutor, because he can sometimes be hard to keep focused. Traditional tutoring is mainly designed to assist children with a big test, or a specific homework assignment. 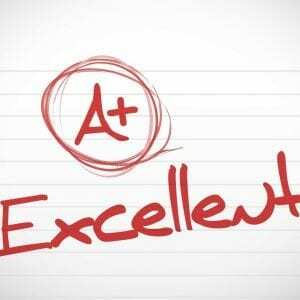 Special education tutoring is supplemental learning designed specifically for children with special needs. 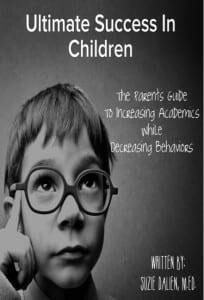 Often times these children struggle in traditional classrooms due to their frustration caused from being overwhelmed in the lessons being taught. Special education tutors mold the curriculum your child is currently being taught to fit their specific learning needs. It’s nearly impossible for your child with special needs to receive that type of one-on-one attention in an ever expanding classroom with dwindling budgets.